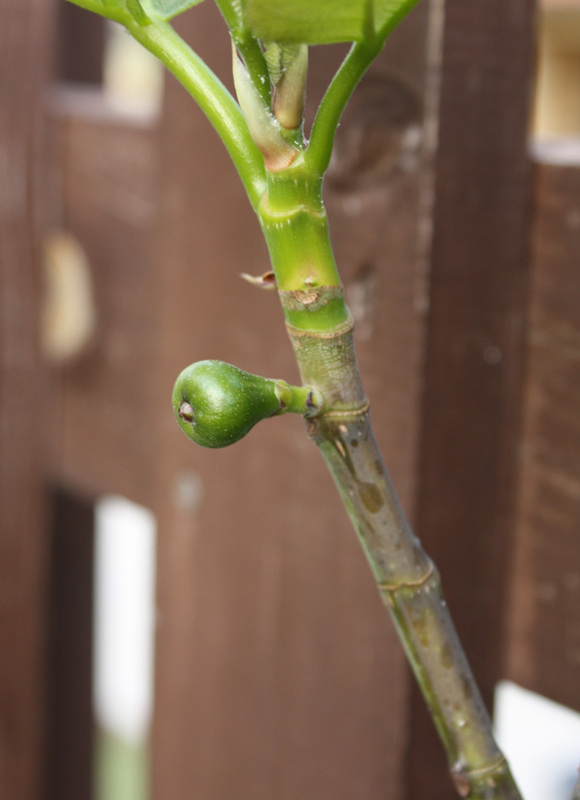 The fig tree we planted last year began to push out leaves about two weeks ago. 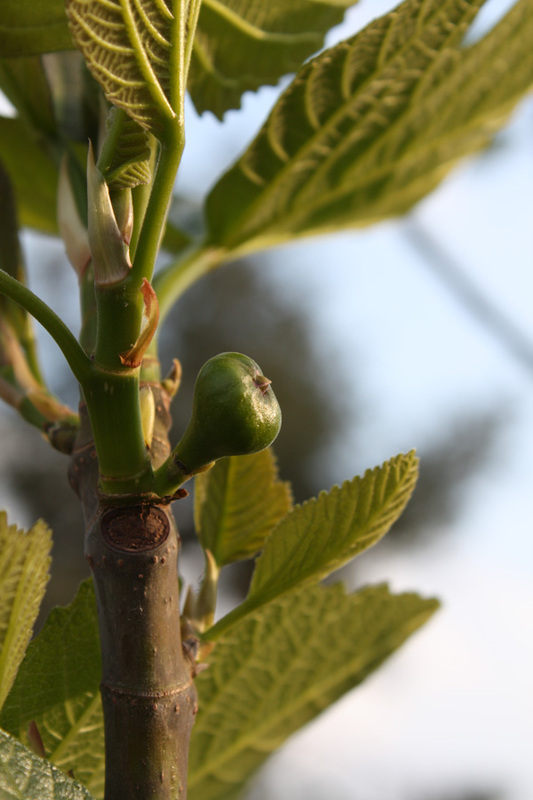 I was working in the garden over the weekend, and I was pleasantly surprised to see tiny figs forming. To be honest, I initially was shocked to see the fruit already on the trees without seeing any flowers. Then I remembered that what we commonly think is the fig “fruit” is actually something termed a “syconium”. This is a hollow, fleshy structure that houses many flowers each with an ovary…. basically, all the flowers are inside the fig “fruit”. 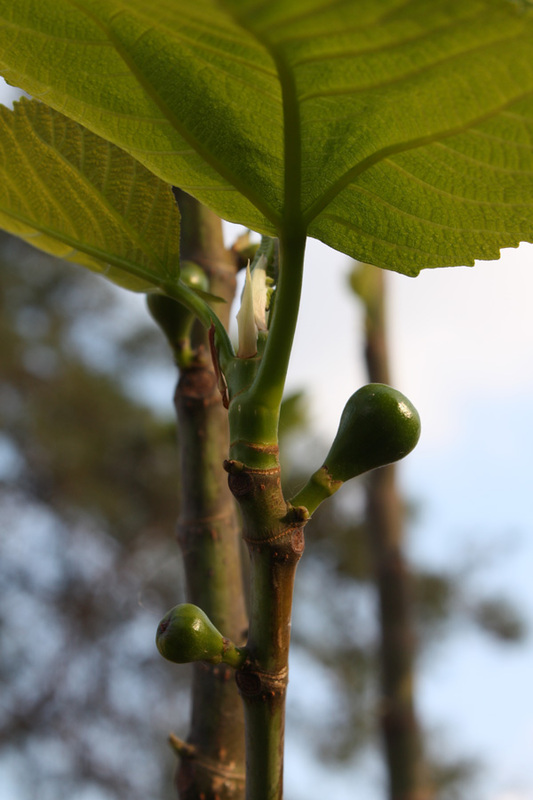 There is a tiny hole at the end of the fig “fruit” that allows a special wasp (from the family Agaonidae) to climb inside and pollinate the fruit. I won’t go into the details of the pollination process or the life cycle of the Agaonid wasps… I don’t want to ruin this great fruit for you. Now in reality, my figs won’t ripen for another 2-3 months. Unfortunately I will have moved out of my home by then. But that is one of the things I have really enjoyed about gardening and experimenting with Permaculture. I get things started. I get things growing. I get to enjoy, literally sometimes, the fruits of my labors… and sometimes I don’t. But that is okay. I hope that I have a hand in getting others excited about producing food in their own backyards. Maybe once they eat off a tree I planted years ago, they will get over their fear of natural foods, their fear of growing their own food, their fear of planting a seed or planning a garden. They will return to the cycle humans which are designed.